Syed Amjad Ali (1907-1997) led one of the most interesting lives spanning the birth and early years of the brand new state of Pakistan. 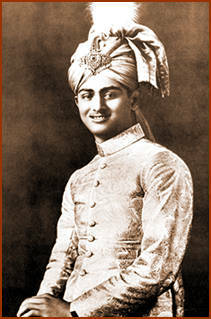 Scion of a prominent Muslim business family in the Punjab, he knew many of the main players on all sides - Muslim, Hindu, Sikh and British - whose actions precipitated the end of colonialism in the Indian subcontinent. 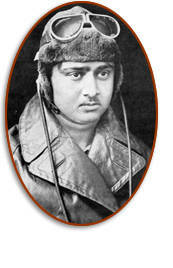 He was educated at St. Agnes Loreto Convent in Lucknow, and then Muslim High School and Government College in Lahore, from where he received his B. A. in 1927. Soon thereafter he joined Middle Temple in London for legal studies, and became Honorary Secretary of the Muslim delegations at the Second Round Table Conference in London 1931. Two years later he served in a similar capacity for the Indian delegation. He was a member of the Punjab Legislative Assembly from 1937 until 1945, and in 1946 was a member of the Constituent Assembly of India. During these years, Syed Amjad Ali worked closely with two giants of pre-partition Punjab politics, Mian Fazli Hussain and and Sir Sikander Hayat Khan. After independence in 1947, he held numerous positions, including Pakistan's Ambassador to the U.S. (1953-55), Finance Minister of Pakistan (1955-58), and Pakistan's Permanent Representative to the United Nations (1964-67). He was also the long time Chairman of the U.N. Committee on Contributions (1967-1994), and an elected member of the international Civil Service Commission of the United Nations (1967-1992) which set the compensation standards for international civil servants. He also worked with his family to build some of Pakistan's leading industries, and was a notable philanthropist. Most importantly from the point-of-view of this oral archive, his recollections of the road to Muslim independence reveal great intelligence and insight. While many of his contemporaries wrapped their memories in the dominant ideologies of the time, he seems to have retained a cool analytical disposition. 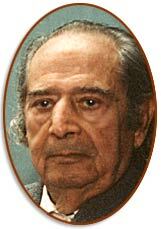 Syed Amjad Ali died in 1997. He was interviewed at "Shadab", his Canal Bank residence in Lahore, by Omar Khan on January 15, 1990.